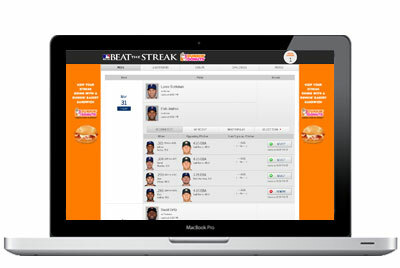 MLB.com's Beat the Streak is a fun fantasy baseball game in which you select one or two players a day to extend your own hitting streak. If the player(s) you picked get at least one hit in that day's game, you extend your streak. You get prizes starting at a 30 day hitting streak. Prizes range from MLB.TV subscriptions to the grand prize of $5.6 million for the first person to reach 57 games.